Illus. in full color. "Rhymes, in typical LeSieg style, about who has teeth, who doesn't and how to keep the ones you have. 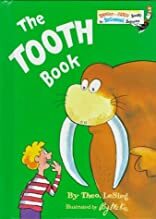 Roy McKie's bright cartoons and the text's rhythms will make this popular with the missing-tooth set." --School Library Journal.